Icefields: milk chocolate, pecans, caramel and white chocolate. Glacier: milk chocolate, cashews, caramel and white chocolate. 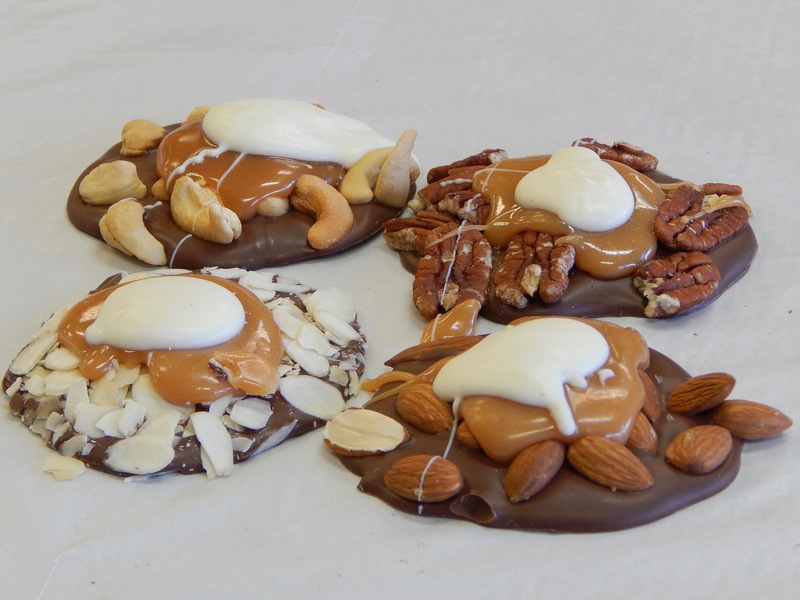 Mountains: milk chocolate, caramel, almonds and white chocolate. Iceberg: milk chocolate, slice of almond, caramel and white chocolate.